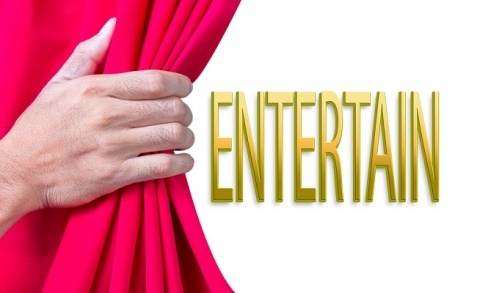 When it comes to progressive industries, few sectors are as up-to-date with trends as the entertainment industry. Movie theaters, clubs, and late-night hangout spots are always finding ways to engage with customers and exceed their expectations. In recent months, this has meant the use of mobile messaging as a tool for customer service and marketing. 80 percent of companies within the media and entertainment industry view mobile messaging as having a “considerable” or “major” impact on growing revenues. 90 percent of companies believe mobile messaging has a “considerable” or “major” impact on overall customer experience. Three out of four companies believe mobile messaging significantly impacts the ability to attract new customers. The report’s overall conclusion is that SMS is a “great fit for companies with high touch business models and for those that place a premium on customer experience.” If you haven’t at least considered mobile messaging and SMS at this point, you’re missing out on an opportunity to improve your company’s brand image within the entertainment industry. When you think about a symphony, texting doesn’t generally come to mind. After all, guests are supposed to silence their electronics prior to entering the auditorium. Well, the Indianapolis Symphony has given new meaning to texting during a show. In an effort to engage a younger demographic and spice up traditional performances, the symphony asked audience members to text in their request for an encore song. They gave the audience two choices and went with the one that received the most votes. “There was a little hesitation on the part of the musicians at first, like, ‘What?’ said Samuel Banks, a bassoonist in the symphony. “It’s the cardinal sin to have your cellphone go off during concerts. It’s better to fall asleep than to have your cellphone go off.” But that’s exactly why it worked. The strategy was so contrary to typical symphony protocol that it captured the attention of the audience. Here’s what you need to think about. If a symphony was able to successfully use SMS six years ago to drive engagement and foster excitement, can’t your business do the same in 2015 and beyond? Whether you’re a theater, cinema, bar, nightclub, or concert venue, you already have a leg up on symphonies. You’re seen as progressive and modern; use this to your advantage and give SMS a chance. Here are some tips for integrating SMS into your existing strategy. Perhaps the most common use of mobile messaging in the entertainment industry involves mobile ticketing. It’s simple, streamlined, and eliminates wasted time on both sides of the counter. When a customer purchases a ticket to an event, your mobile platform simply sends out a message with a virtual ticket that doesn’t need to be printed. The customer then stores the ticket on their mobile device and brings it up upon entry. These tickets often include barcodes and can be scanned like paper tickets. This decongests crowded lines at your customer service counter and saves the customer from the frustration of having to print the ticket at home or wait in a line at the venue. These last minute offers can help you fill seats by leveraging your existing customer base. It’s an extremely low cost method of getting rid of unsold inventory and many entertainment venues are already using it. Do you wish you could find out what customers really thought of your venue, attraction, or event? Well, traditional surveys aren’t going to make the cut. Busy customers don’t want to mess with paper surveys and will hardly ever go home, get on a website, and submit a virtual one – that’s where SMS comes into play. By sending out simple messages during or after an event that read, “Text SURVEY to 6789 to answer a few questions about your experience,” you can increase response rates and gather more data. At OpenMarket, we’re considered one of the leaders in mobile engagement. Four out of the top 10 global brands trust us with their mobile engagement needs and you should, too. Our customizable platform is secure, reliable, and scalable, allowing for both one-way and two-way customer communications. For more information regarding the IDC InfoBrief mentioned at the beginning of this article, or if you would like to speak with one of our knowledgeable representatives, don’t hesitate to contact us today. We would be happy to guide you through the process of integrating mobile messaging into your business.